I have already Posted Yahoo messanger Shortcut Keys,Windows Keyboard Shortcuts & Gmail hotkeys to work Fast. Ctrl + E – It centralizes the selected text, or the current line. Ctrl + R – It justifies to the right the selected text, or the current line. Ctrl + L – It justifies to the left the selected text, or the current line. Ctrl + I – The same thing does that Tab. 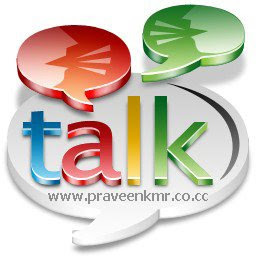 Tab – It is giving the area to each of the windows opened by Google Talk. Ctrl + Tab – The same thing does that Shift + Tab . Shift + Tab – The same thing does that Tab but in reverse. Ctrl + 1 (KeyPad) – It does a simple space between the lines. Ctrl + 2 (KeyPad) – It does a double space between the lines. .Ctrl + 1 (NumPad) – It goes at the end of the last line. Ctrl + 7 (NumPad) – It goes at the begin of the last line. Ctrl + F4 – It closes the current window. Alt + F4 – It closes the current window. Alt + Esc – It Minimize all the windows. F9 – Open Gmail to send an email to the current contact. F11 – It initiates a telephonic call with your friend. F12 – It cancels a telephonic call. Esc – It closes the current window.